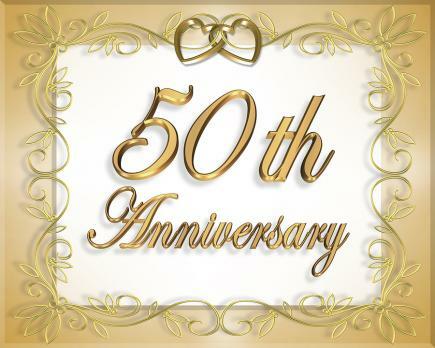 Every season we celebrate the 50th Anniversary of those individuals who will or have celebrated their 50th sometime this year. This year those that will be honored will be those that were married from January 1st 1967 to December 31st 1967. All couples who have been married for more than 50 years are also recognized and help celebrate with the honorees. The event is scheduled for February 12th, 2016 at 2 PM in the Large Hall. Kathy Loerch is the Coordinator for this event. Kathy would love it if those of you who will be celebrating their 50th this year would bring 3 to 5 pictures from your wedding and/or significant milestones in your life together so we can put together a slide show for the event. We will scan the pictures and you can have them back right away.